Obesity in dogs is a very serious problem, and it’s rates are increasing daily. It’s estimated that roughly half of all dogs in the United States alone are obese – that’s 35 million dogs! Obesity can cause many illnesses such as diabetes and even worsen joint and back problems. Obesity is also one of the most common reasons injuries occur in our dogs. Most importantly, obesity leads to an increase in many diseases, including cancer, and can rob years off your dog’s lifespan. Many owners feel that their dogs are the appropriate weight for their size, but unfortunately this is not the case. Even many veterinarians have gotten so used to seeing obese dogs, they can’t even tell when dogs are fat! A dog should have a defined waist, with ribs easily felt but not visible. This guideline goes for most breeds. While some, such as bulldogs, should be stockier and heavier than others, they still should not be allowed to become the giant bowling balls we see walking around! Photo by Purina Veterinary Diets. While not many people free-feed their dogs (meaning, they leave a full bowl of dog food out all day), some still do. It’s rare for dogs to self-regulate their eating, and most owners find that food doesn’t stay in the bowl for long. If we filled it up every time it was empty, our dogs would never stop eating! Free access to food increases our dogs chances of consuming too much and becoming overweight. Scheduled meals are more appropriate, because we can regulate how much our dogs eat and when. Photo by Seiichi Nojima on Flickr. 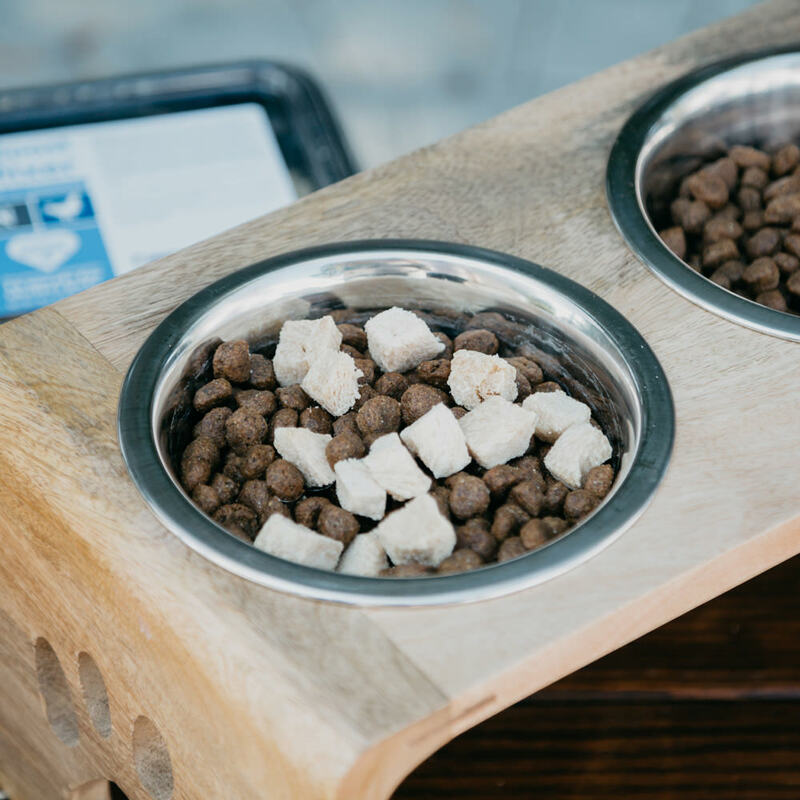 One of the benefits of scheduled meals is that we can regulate our dogs’ food consumption. Since each dog is different, we can control how much each of our dogs are eating per day. It’s important to find out how much your dog needs to eat in order to maintain a healthy weight. If your dog is overweight, try decreasing the amount of food offered by 1/4. Gradually decrease the amounts until your dog is at his desired weight. Remember not to guess and actually measure the amount of food given – this way you’ll know exactly how much your dog needs. This is for you and your dog! We know that everyone always talks about exercise being needed for weight loss, but that’s not the only reason it’s important. Exercise maintains your dog’s physical health as well as his mental health. A dog that lacks proper exercise becomes unhappy and typically starts displaying undesirable behaviors, such as chewing and digging. Keeping your dog on a regular exercise schedule will keep his weight appropriate and his mind clear. There are a lot of dog foods on the market that are marketed towards owners looking to take a few pounds of their pets. But it’s important to read the labels on these foods. Most of them lessen the amount of nutritious meat ingredients and add in more nasty fillers. They are lower in calories, but also lower in nutrition – which means you’re left with a dog feeling very hungry and not getting all of the nourishment he needs. Photo by Mateusz Michalik on Flickr. Just like with people, weekly weight checks are great for our dogs too! When you weigh your dog weekly, you can see how well your new diet and exercise plan is working – if at all. All dogs are different, so they each need their own custom regimens. By keeping track of your dog’s starting weight and how much she’s lost since the beginning of the diet, you can make sure your dog is losing weight at the right speed. Too much weight loss too soon can be bad for her as well. This means the people! If you decide that your dog needs to lose weight, but someone else keeps sneaking her treats, you’ll never see any progress! All this does is create some tension between everyone and confusion for the dog. If you’ve got a pup on a diet and she’s not losing any weight, be sure to check with the rest of the family. Photo by Jessica Petersen on Flickr. Most of society in any country today is revolved around food. When we want to share a good time and celebrate with friends and family, there are often great meals to be had. There’s nothing wrong with this, because it’s the way we work as social animals. To us, food means love. If you’re having a hard time cutting back on treats and meals, just remind yourself of this. Your dog doesn’t think you love her any less, and because you’re feeding less doesn’t mean you don’t care! Many people feel guilty about not feeding their begging pooch, so they give in. But just as you might feed yourself when feeling emotional, doesn’t mean you should also feed your dog. You can show her love with toys and play just as easily. This is especially important if you’re training your dog often. Training is typically done with treats, and you might feed a lot of treats in any given session. Keep this in mind when planning your dog’s meals. Subtract the amount of treats given from the meal, and you won’t end up with a dog that’s overweight. Many people don’t lessen their dog’s meals when they are feeding more treats, and overlook what’s often a large increase in calorie consumption. When we do decrease the amount of food our dogs are used to eating, they often do become hungrier. In order to counteract this, we can add in fresh, steamed vegetables like green beans or spinach. These are high in fiber but low in calories, so they help our pets feel full while still allowing for the diet to continue. 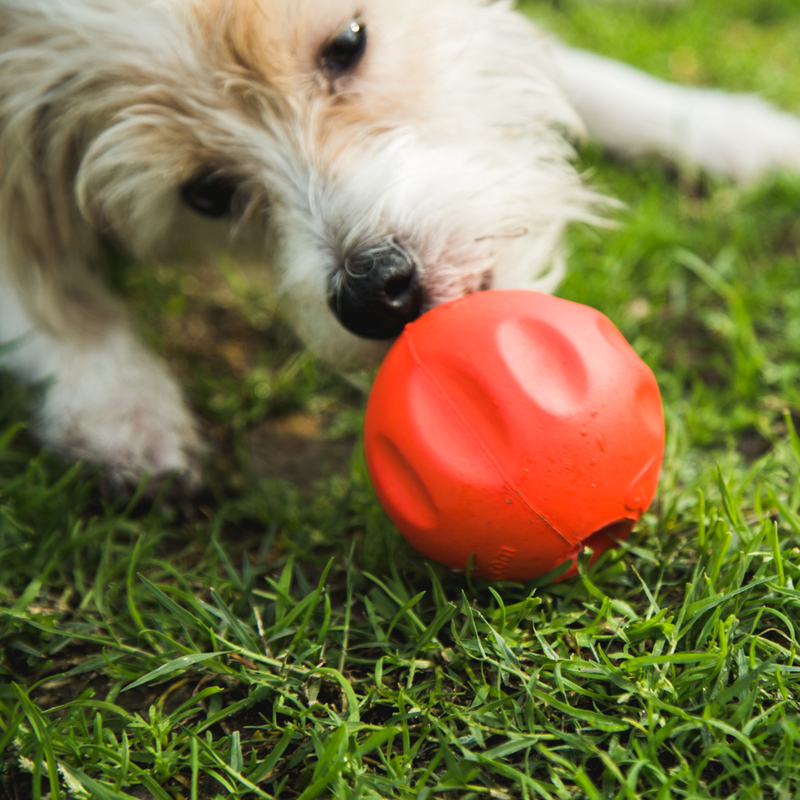 Its easy to believe that dry dog food is formulated with our dogs best interest in mind. The reality, however, is that kibble was created for convenience sake, and is packed with carbohydrates and sugar that allow it to be shelf stable. By slowing reducing the amount of carbs and sugar your dog is consuming, and replacing with more biologically appropriate protein, (which is their ancestral diet), you can shed weight off your pup. One popular way to increase protein is by adding a raw egg in place of some kibble. Or consider adding some single ingredient, freeze dried protein toppers to your dog’s bowl.